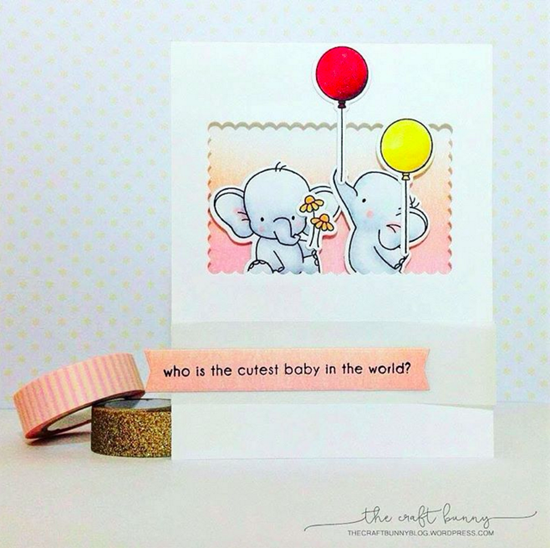 MFT Graphics Guru Laina Lamb spotted Amy's crazy cute card on Instagram following #mftstamps. 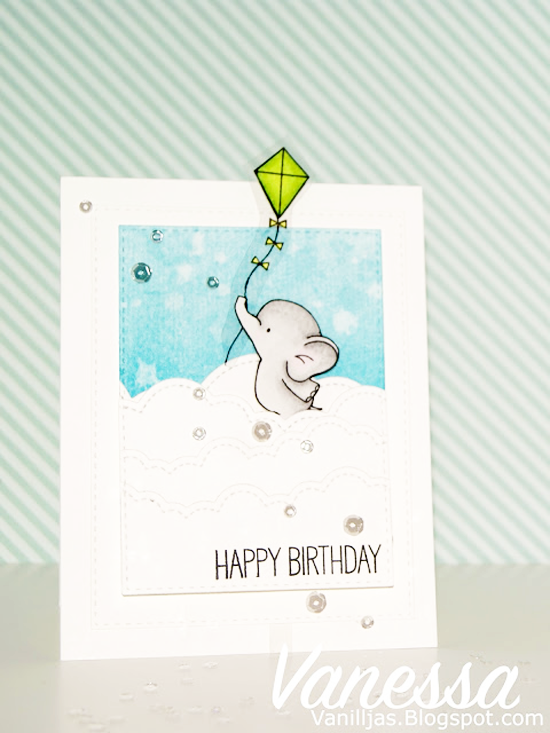 Her use of our Adorable Elephants stamp set and Die-namics makes for the perfect baby card. SO incredibly sweet! 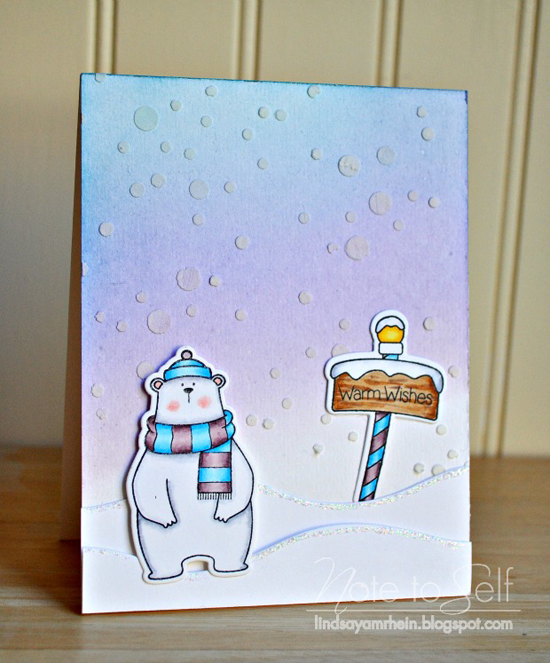 Creative Team Member Kay Miller spotted Joy's fun card on her blog. 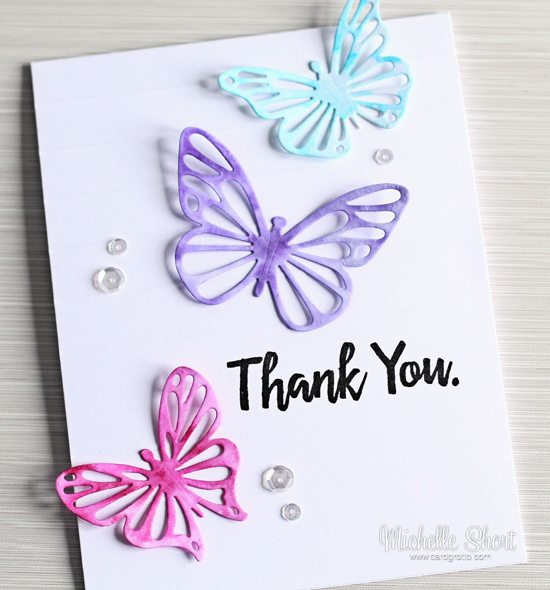 Kay says, "Well, I kind of love everything Joy makes, but she really does amazing things with MFT stamps and dies!" 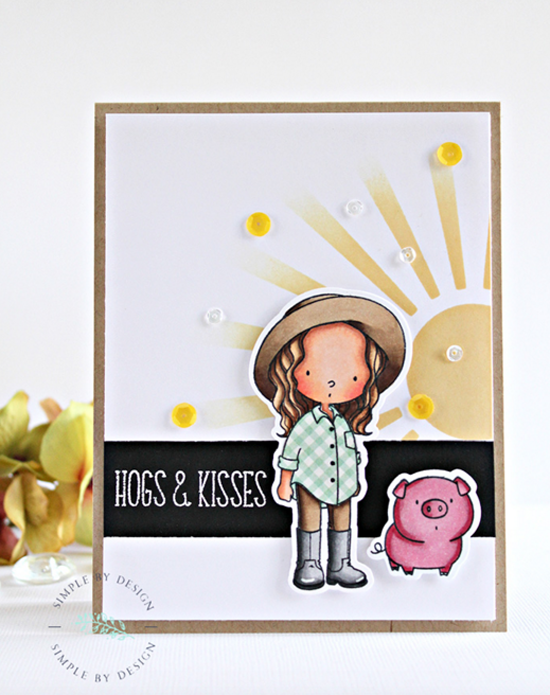 Her use of our Green Pastures and The Whole Herd stamp sets is simply delightful, don't you agree? The Sun Ray stencil adds to the sunny atmosphere of the scene. 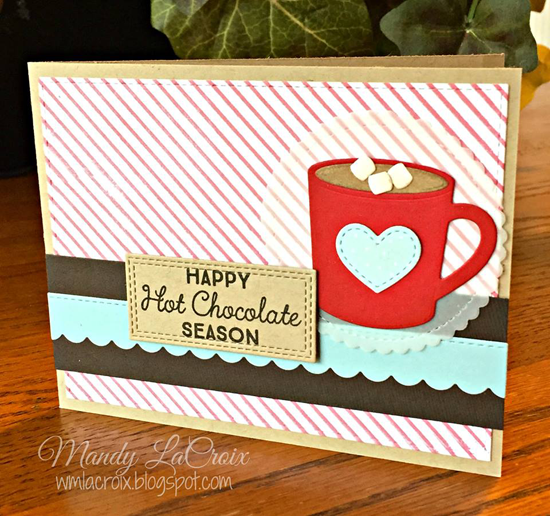 I spotted Mandy's warm and toasty greeting as one of the entries for Sketch Challenge #264. 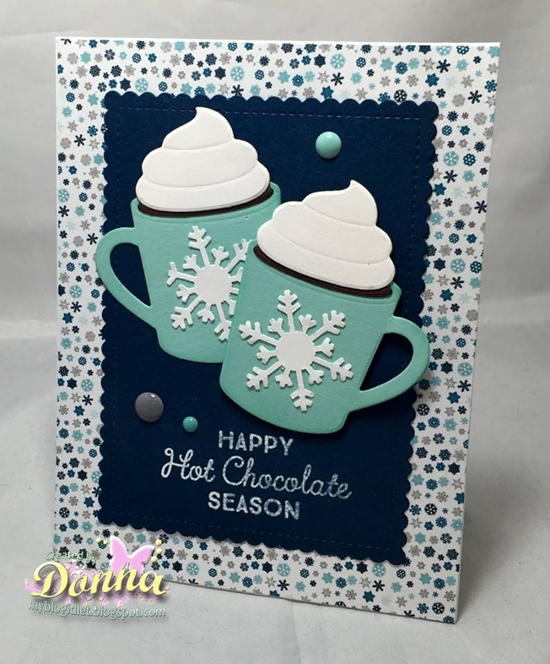 Her vibrant colors paired with the dark brown really caught my eye, and I love the addition of the teal and vellum. Such a super design. 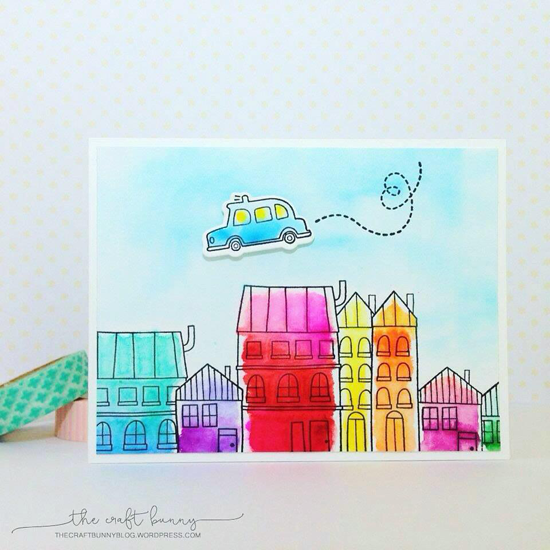 I spotted Vanessa's interactive card in the My Favorite Things Facebook Group (won't you join us?). It's hard to capture in a photo, but if you click HERE you can see an 8 second video of the elephant rising out of the clouds. Oh so clever and captivating! Creative Team Member Barbara Anders spotted Vickie's card on her blog. 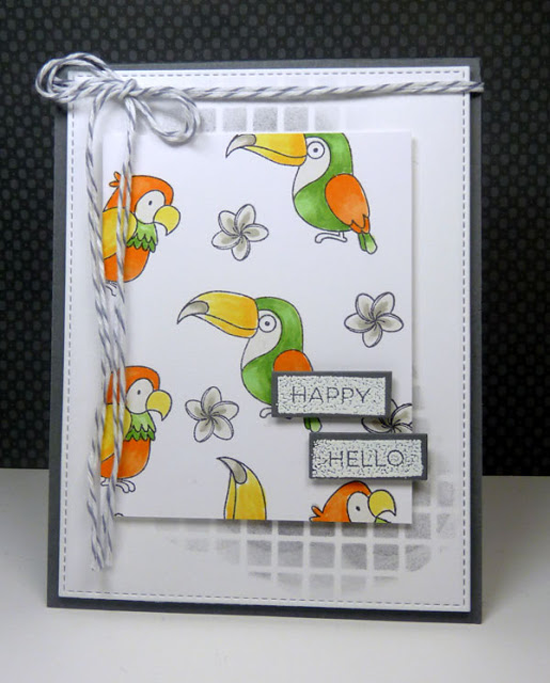 Barb says, "Vickie's [birds] colored with tropical colors really stand out on this otherwise neutral card." I love seeing the birds from the Polynesian Paradise set in these delicious citrus colors! Thanks for using MFT, ladies! You've left us inspired, and that's what it's all about! See you tomorrow for another great Sketch Challenge, and look for the next MFT Color Challenge next Thursday, February 11th! Thanks for highlighting my card! All of these are fabulous. :) congrats to all! Love the inspiration always found here.